I admit to you that I am not much of apron wearer, but oh, my goodness, some of these aprons were so CUTE! And, when I did my apple pie demo at Williams-Sonoma back in June, I wore the apron my friend Robin made me, and I felt pretty darn adorable in it. There’s something about putting on a party dress that makes you FEEL more festive! Am I right? And when you have guests coming, a cute apron becomes the equivalent of your party dress! Our guests always hang out in the kitchen while I’m cooking. It almost seems like so few people have the time to cook these days, that cooking itself has become a bit of a novelty. In any case, it seems to be a fascinating process to some of my guests. I DO imagine I’ll have more opportunities to do cooking demos in the future, so I’d like to expand my “cooking wardrobe”. But also, I had a little ultra-sneaky thought enter my head: with a little stockpile of aprons this cute in my linen drawer, what guest could resist offering to help me cook, if they, too, could don one of my cute little Flirty Aprons? And even the BEST cooks dearly appreciate help! The reason my Thanksgiving was SO MUCH FUN this year was because I delegated lots of chopping to my friends and family, and we all hung out in my kitchen, and chopped and cooked and washed dishes and told stories and laughed and joked. This truly was the best Thanksgiving “pre-game” I’ve ever had. I wasn’t stressed. My guests weren’t stressed, and a GREAT time was had by all. So, if you’d like to help YOUR guests enjoy their time spent in your kitchen a little more, by being dressed in the equivalent of a “kitchen party dress”, or at least, dressed to cook with a little more flair, I really recommend, with prices like the Black Friday/Cyber Monday pricing that I’m about to tell you about, that you SNAP UP THIS DEAL, while you can. Here’s the deal, and you’re not going to believe it: 60% OFF + Free Shipping!!!! It only goes through December 3rd, 2015, so do not delay! Here’s one more thought: matching aprons for a mom and all her daughters/aspiring cooks/offspring? How cute would THAT be? 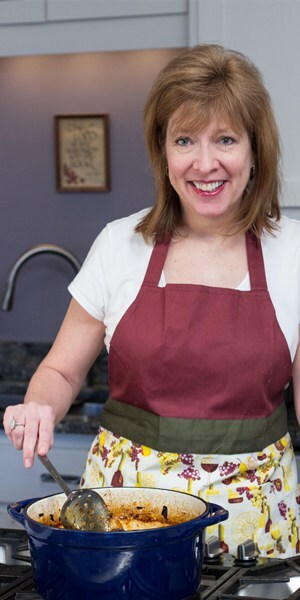 Flirty Aprons would make a great Christmas gift for parents, siblings, daughters & sons, or best friends. They have aprons for Men and Kids, too! If you have friends who you know would love to take advantage of this deal, I would SO appreciate it if you shared this post! Or pin it to Pinterest as a gift idea. The aprons are very reasonably priced, as they are, and it wouldn’t surprise me if more sales showed up later. If I hear of any, I’ll be sure to give you a shout-out!